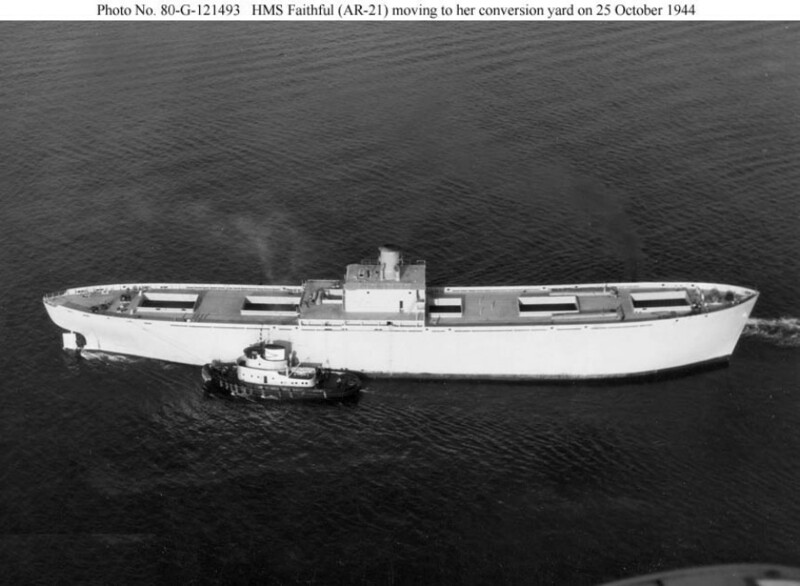 Laid down, 4 October 1944 as SS Faithful a Maritime Commission type (EC2-S-C1) hull under Maritime Commission contract (MCE hull 2681) at Bethlehem-Fairfield Shipyard Inc., Baltimore, MD. 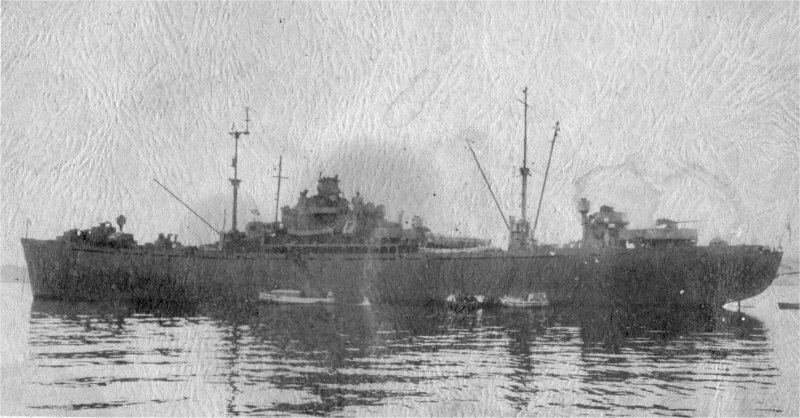 Decommissioned, 31 January 1947, at San Pedro, CA. Laid up in the Pacific Reserve Fleet, San Pedro, CA. Recommissioned, 13 February 1952, at Long Beach, CA. Decommissioned, 1 July 1955, at Orange, TX. Laid up in the Atlantic Reserve Fleet, Orange, TX. Custody transferred to the Maritime Administration, 28 December 1960, for lay up in the National Defense Reserve Fleet, Beaumont, TX. Temporary custody to the US Navy from 25 April 1976 to 24 September 1976 and returned to the Maritime Commission at the National Defense Reserve Fleet, James River Group, Lee Hall, VA.
three Diesel-drive 500Kw 450V A.C.
two turbo-drive 60Kw 120V/240V D.C.
111k SS Faithful (MCE hull 2681) being moved from her builder's yard to her conversion yard at Baltimore, MD., 25 October 1944. Officially 79.9 per cent complete, she lacks nearly all her smaller fittings, including her rigging. 78k USS Dionysus (AR-21) at anchor, date and location unknown. 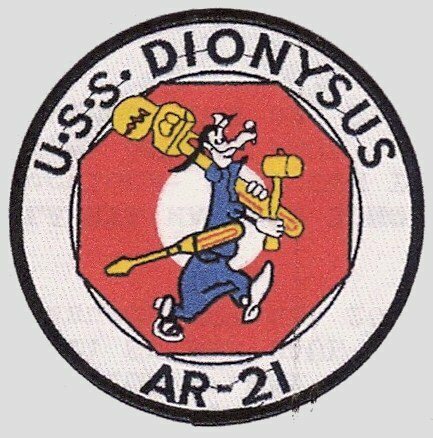 72k USS Dionysus (AR-21), from left to right; LCDR C. F. Sanders, Executive Officer, Capt. S. D. Simpson, Commanding Officer, and LCDR H. W. Packard, Repair Officer, circa-1945-1947. 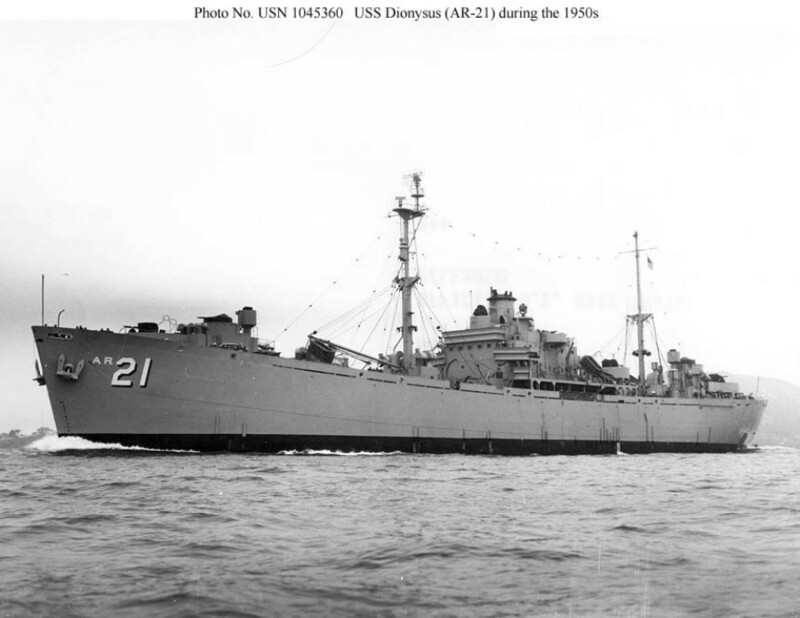 91k USS Dionysus (AR-21) under way, circa 1952 to 1955.